I know it’s a strange time of year for slow cooker recipes, but this is a special request! This is a really simple recipe. So simple, I almost feel a bit of a cheat for calling it a recipe! But everyone makes stews so differently, and it’s nice to learn a different method. So sorry if this seems obvious. It can be varied depending on your tastes and what you have in the cupboard. We’ve been making this for years and it’s just a ‘throw in the pot and forget about it’ kind of meal. The lentils are key to this stew, as they are the main source of protein and can vary the texture of the finished dish hugely. Add more for a thick, clumpy stew. Add less for a more ‘soup with big chunks’ kind of variation. I never measure for this stew, it just gets thrown in, so I’m having a quantity guess for the ingredients! Change the amounts as you wish. This will make 2 large portions, or 3 smaller portions. I have given suggestions for brands, as I always use high quality, ethical products and I always use organic vegetables from Wholegood. 1 tbsp Organic Burst Baobab Powder (an amazing source of Vitamin C and Iron, which is great for the immune system). I’ve seen a multitude of slow cooker recipes that ask for you to pre-cook/pre-fry certain ingredients. I’ve never done this. Firstly, I’m a bit lazy, and secondly, I really don’t see the point of a slow cooker if you’re going to have to cook half the stuff before putting it in! Slow cookers are meant to take the hassle out of cooking (well, that’s my view of them anyway) and so that’s what my recipes will do! 1) Chop the carrots into large chunks. Throw in the slow cooker pot. 2) Chop onion into large slices. Throw in the pot. Add finely chopped garlic. 3) Add your choice of potato – this is really down to taste and can be varied or mixed – again, large chunks, and thrown them in! 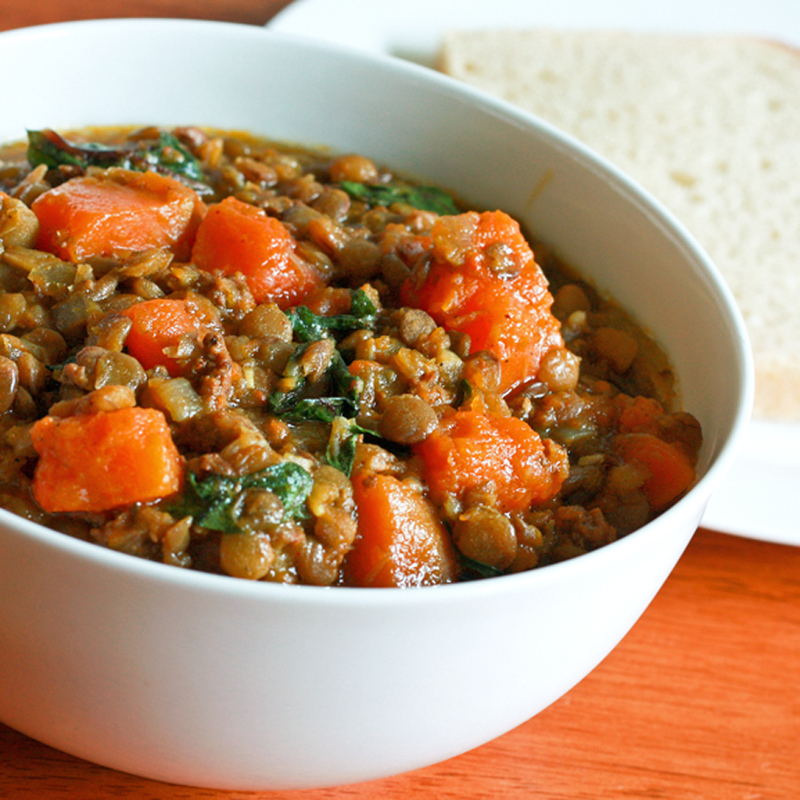 4) Throw in the lentils – adjust quantity according to your desired thickness of stew. 5) Mix up 1 litre of vegetable stock and pour in. Add a healthy teaspoon of yeast extract and stir well. 6) Cook on the ‘high’ setting for 3-4 hours, or the ‘slow’ setting for around 6-8 hours. 7) Just before it’s finished cooking, throw in the spinach, stir around and wait for it to wilt. 8) Remove from the heating element and stir in 1 tablespoon of baobab powder – this ensures that the cooking process doesn’t destroy the vitamin C in the baobab. Serve immediately in bowls. Enjoy! I really hope you like this recipe. Have a fantastic weekend! Previous Post Brushing Your Way To A Better Planet! Next Post Wellbeing… The Power of Mushroom Superfood Powders! That looks really good. I’ve never used a slow cooker. I think I’d like it. Kinda like magic!